Men are independent and most of them like to be their own boss – dreaming of quitting their job and making money working for themselves. Self employment can work; it can be successful IF the man has the right knowledge and skill set and is prepared to do the hard work. 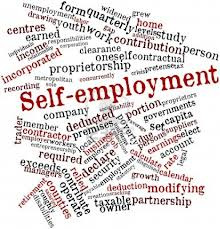 So what are some self employment ideas for men? Often professional men with skills behind them who want to start their own business go with what they know and will offer services such as plumbers, electricians, builders, car repairs, computer repairs, cleaning, carpentry services etc. If you own a Ute or van you can start your own delivery service with little outlay – you just need to advertise. Posting ads on line, popping flyers into letterboxes, ads into newspapers or posters on windows is a great way to get your name out there. You can also approach local businesses and offer your services – from delivery to lawn maintenance and cleaning, real estate agencies in particular have a lot of use for tradies keeping rental properties in shape, but the list is endless. You could also look into starting an online business – graphic designers, photo editing work, designing websites can be done freelance from the comfort of your own home and due to the nature of the Internet it doesn’t matter if your client is across town, over the other side of the state or in another country you can work and deal with your client entirely over the Internet. Of course what business or line of work you want to do or can do relies entirely on your skills and what you want to do. You can do research online or read books on how to get started and what you might need to do or have to start a business – such as an ABN, permits etc. You may be able to get started with limited funds or it may cost many thousands of dollars to get your venture off the ground. You can also take advantage of many free marketing options – Gumtree, True Local, Face Book and more to spread the word and grow your client base quickly. The use of free advertising outlets is a great way to get your name out there without it costing you any money, if there are costs involved with setting up your business, if you don’t have to pay for advertising from the start as well, it’s a helping hand. If you keep an open mind, be aware of the long extra hours of unpaid time you may need to put into your business just so you can be your own boss, whether this is a part time income or a full time income with a little start up money, free advertising and a desire to succeed, it is possible to live life to your schedule and not someone else’s. Hello thanks for these ideas for men, handy! No probs Katlyn, you’re welcome!